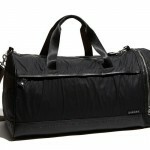 There’s no shortage of pockets on this Kappa duffel bag from Diesel. 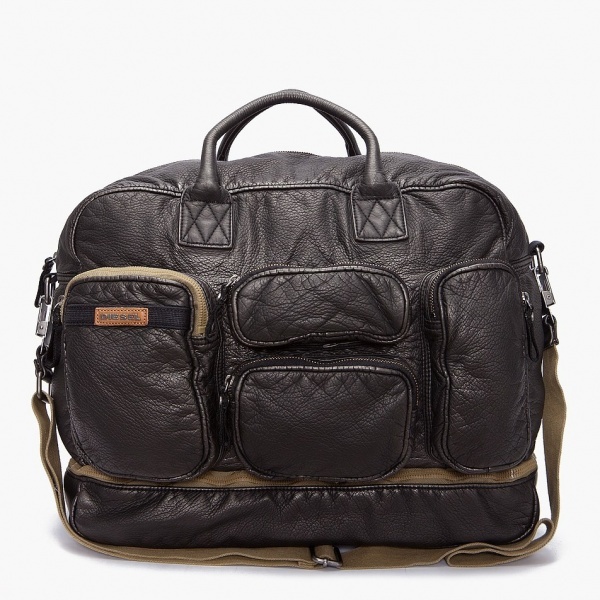 Made of textured faux leather in black, it features army green contrast and a camouflage-lined interior with zip pocket. 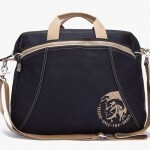 With an exposed zip compartment and multiple pockets outside, it’s a great bag to keep yourself organized. Get it online.